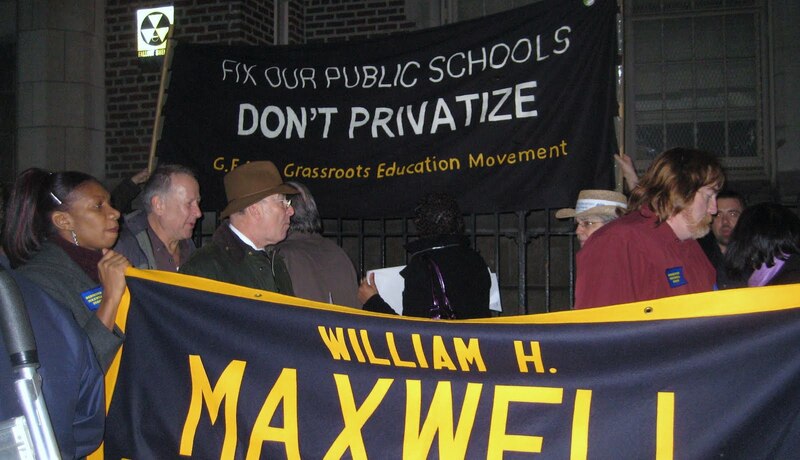 Maxwell High School – Forum Denounces Closure! Dec. 9, ’09 Maxwell High School, Brooklyn. Part 2 – The Forum. Mayor Bloomberg announced the closing of over 20 public schools. The community voiced its outrage. Activists denounced this callous ploy to give away public school space to private charter schools. Over 250 people protested outside and then again inside the cafeteria-forum against the complicity of the District Superintendent. Community advocates and UFT grassroots groups are organizing locally and citywide to stop this ruthless assault on students, public schools and ALL school-workers. As an educator, I have lost ALL respect for Bloomberg, Klein and the DOE! I do not believe anything they say anymore. Yes, I agree to the emails going around…. it is time to STRIKE! Even without the UFT! Teachers, parents and school staff… lets shut Tweed down! It is disgusting and it is time to wake up and rise up! Between the Charter Cancer Bloomberg loves and the school closings fiasco, and the constant stress these people are causing, we need to take back the schools system from these dictators and tyrants! They want to break us up and break us down! They do not care if communities are torn apart, divided and in an uproar! This is what we want for our school system? Remember, it is ours NOT theirs, they will be gone and we will be left to pick up the pieces? Not on our watch! They are screwing us … it is time to screw them! I have had it like a thousand others and growing across the city! 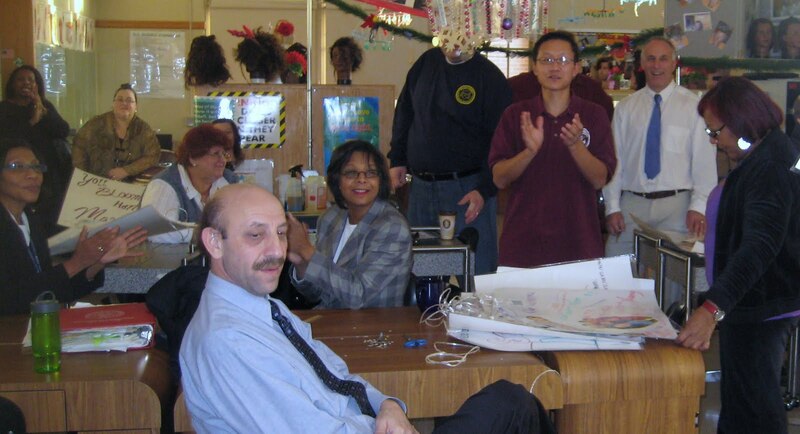 UFT, take that contract deal you are making – giving away our job security and everything else and forget it. We want to get rid of Bloomberg and Klein and the DOE!And UFT, get rid of your charter schools too. We need to be united as a union, not divided. You are worrying about getting charter schools as members but forgetting us, the ones paying dues and suffering under these disgusting elected officials! NYC Education is a disgrace…now run by hedge fund managers and their billions of dollars! WAKE UP TEACHERS, SPREAD THE WORD, IT IS TIME TO GET OUR SCHOOLS BACK FROM THESE INHUMAN INDIVIDUALS WITH OR WITHOUT THE UFT!